Ellenwood, GA Ukulele Lessons Near Me | Fun Classes. Top Teachers. Taking up Ukulele was a great way to look at music from a new perspective. I love teaching ukulele to younger kids who cannot make chords on a guitar quite yet as well as adults who are serious musicians that have been playing for years. I welcome everyone from the novice to the hobbyist and do my best work with student requests. I've been playing ukulele for 3 years. I have a lot of musical experience, playing instruments for 20 years and teaching for 10. 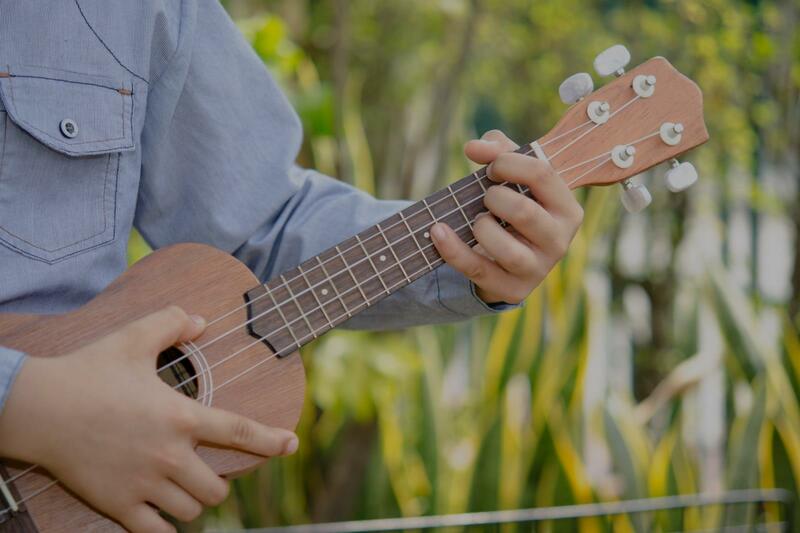 Ukulele is a lot of fun and I look forward to helping you learn songs and styles that you're interested in! Want to have play songs for your friends, learn to jam, or even play in a band? It's really easy! We'll focus first and foremost on discovering what will make practice fun for you. Once practice is fun, then improvement becomes playful (and much faster). In your first lesson, we will uncover your goals and markers for success, then build a custom plan to get you there (with or without additional lessons). Practice is the highest pursuit of humanity. I have been playing music for 20 years, Teaching for 10. My primary instruments are Ukulele and Guitar, and I love helping people come out of their shells with improvisational singing. Through my life-long studies of Music, Kung Fu, Dance, Psychology, and Personal Development, I have come to the realization that every moment of every day we are practicing something. The key to a life of satisfaction then is to ensure that we are practicing the skills that align with our Values, instead of simply robbing us of time. If we can do it joyously, then we have discovered one of the keys of life. My personal Values include Evolution, Practice, Freedom, Fun, Connection, Wisdom, and Flow. If I had a way to give Ben more than 5 stars, I would give him a perfect 10. He made me feel very comfortable on my first lesson and was very encouraging. I used to play Ukulele a little until a severe stroke. I lost all ability to play and remember any music. I mention this because Ben is very encouraging and he seemed to have fun. This is important to me because it has me wanting my next lesson already. He really is the best of the best. A typical Miss Kirk music lesson includes movement, acting, drama, music theory, stage presence practice, singing and fun! I tailor each lesson specifically to my student. When students feel a sense of joy and excitement then learning and expertise follow.